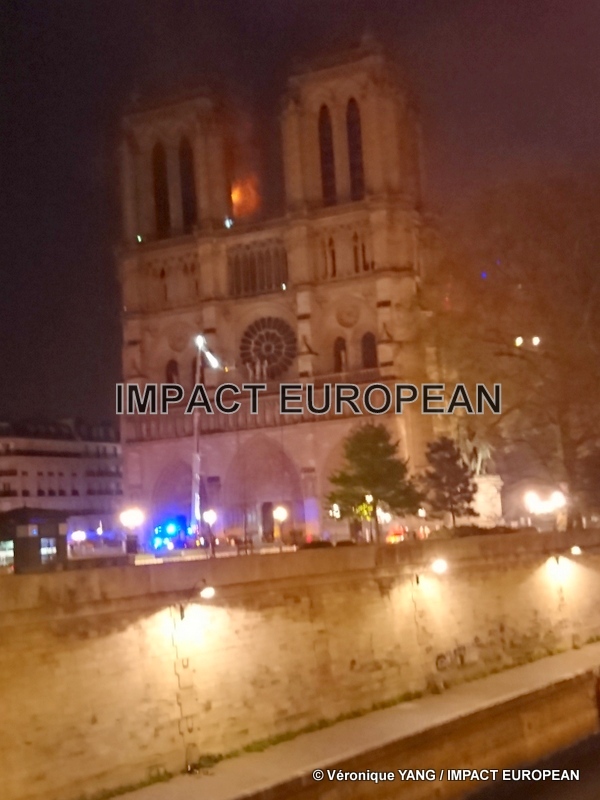 The cathedral Notre–Dame de Paris was touched by a violent one sets fire to, this Monday, April 15. The roof of the building is completely devastated by the flames and the arrow collapsed. Historic building more visited Europe, the Gothic cathedral is registered with the world heritage of humanity since 1991. Between 12 to 14 million tourists each year this masterpiece of the Gothic architecture visits located on the island of the City. 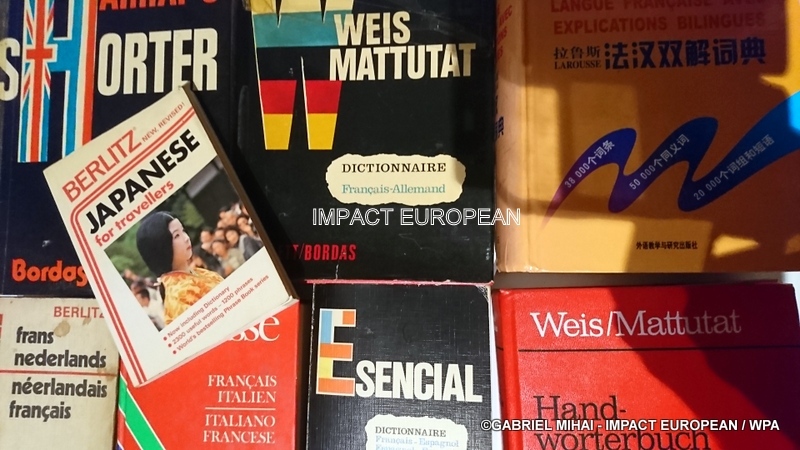 Thousands of people, Parisians and tourists, attended struck the disaster. 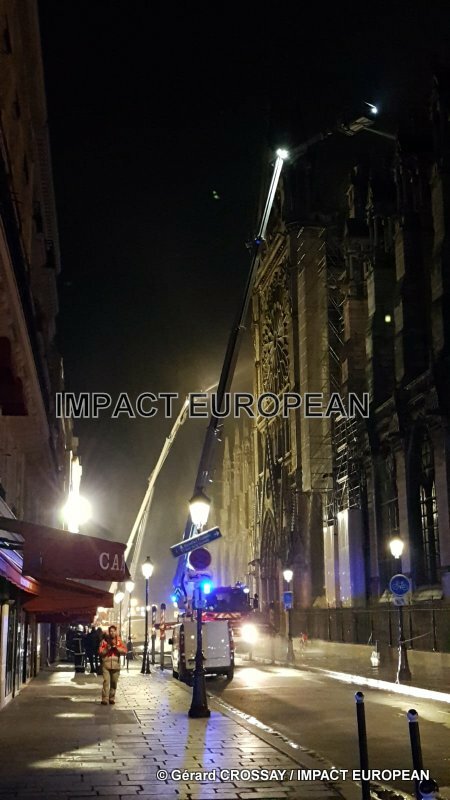 The fire, which is propagated extremely quickly, took in the roofs of the cathedral, indicated the firemen. 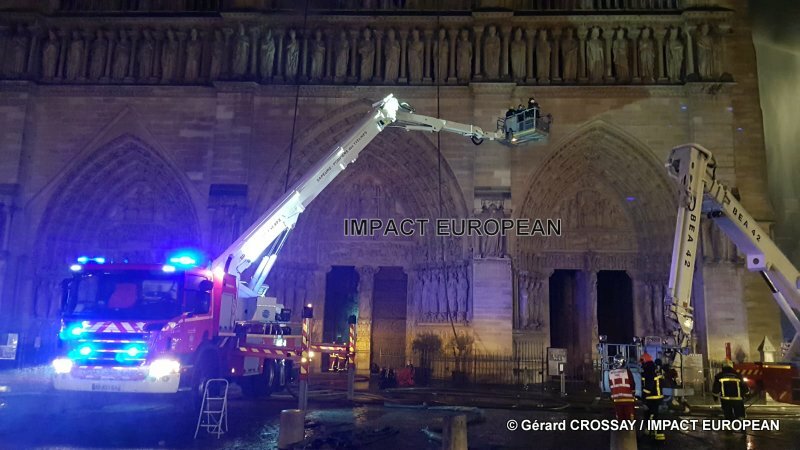 It seems to be party of scaffolding installed over the roof of the building built between 12th and the 14th century, according to the firemen. Approximately 400 firemen are mobilized on the spot. 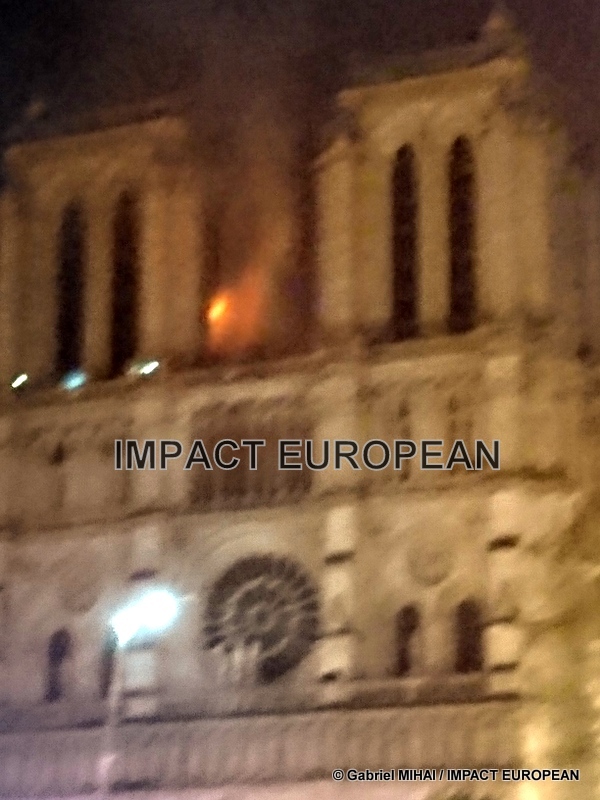 By the principal door, in the nave plunged in the shade, from glowing embers fall on the ground. 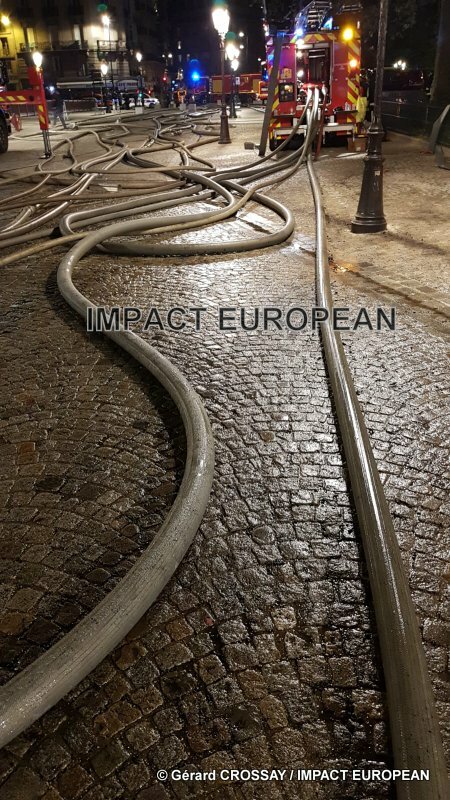 The square empty, is buckled by trucks of firemen who drew up a great scale in front of the rosette. 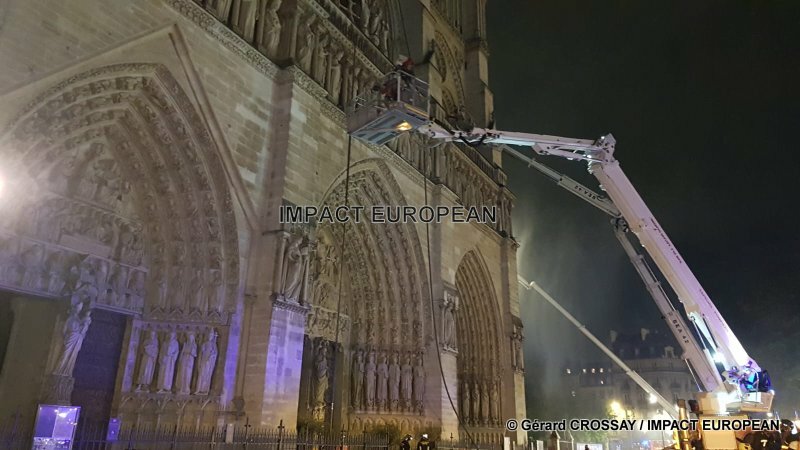 According to last information, the structure of Notre–Dame de Paris “is saved and preserved in its globality”. But the damage is obviously colossal. 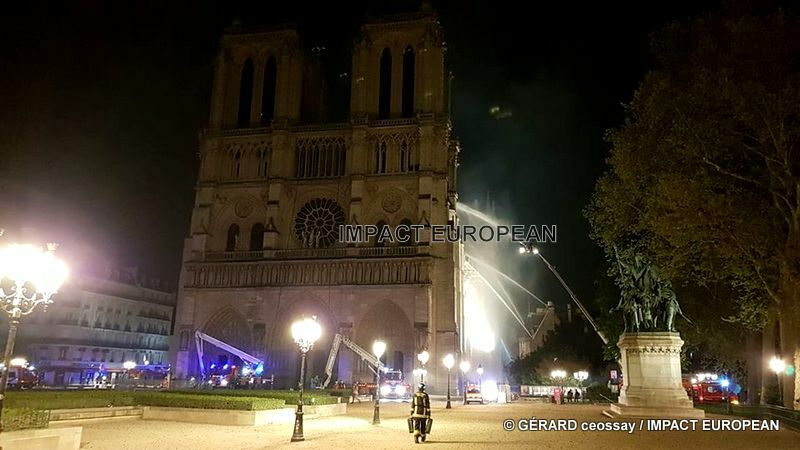 The Foundation of the heritage already announced the launching of a “national collection” for the reconstruction of Notre–Dame de Paris. 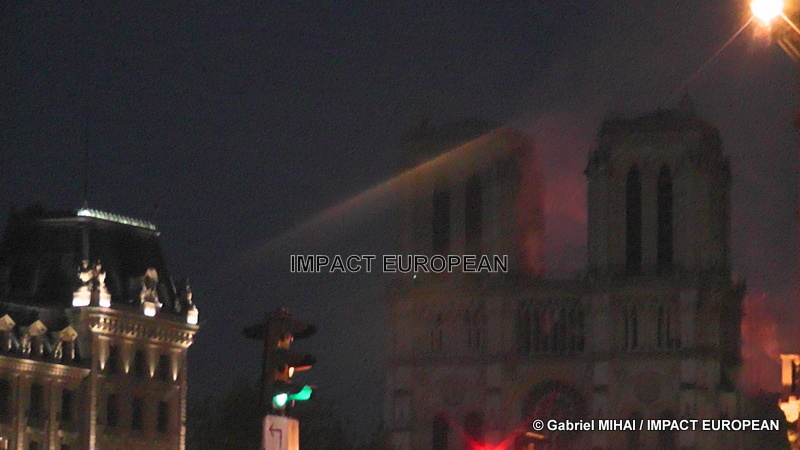 The cathedral is victim of a big fire, since 18:50 this Monday, April 15. The feeling of loss is infinite vis–a–vis the flames which devour the Gothic building with the impressive waste–gas mains, whose construction started with the Middle Ages, at the end of the 12th century – in the actual position of knowledge, the date appointed for the beginning of work is 1163 – to be spread out during two centuries until 1345. 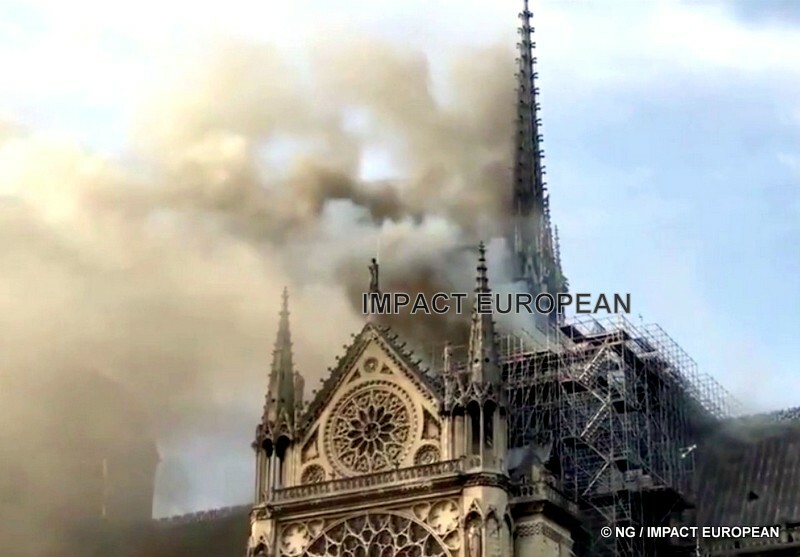 Notre–Dame was saved by the two world wars and these are the bells which announced, on August 25th, 1944, the release of Paris. More recently, the nine giant bells of the cathedral were replaced in 2013. Its arrow, which crumbled this Monday, was in the course of restoration. 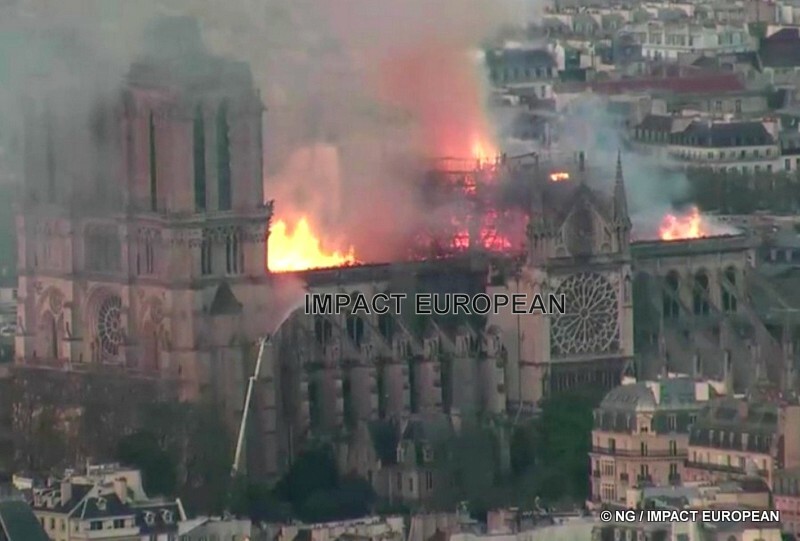 Cries of stupor and tears rose on the square of Notre–Dame de Paris, when the arrow of the cathedral, crumbled, in the middle of the flames which devastated the wooden carpentry. 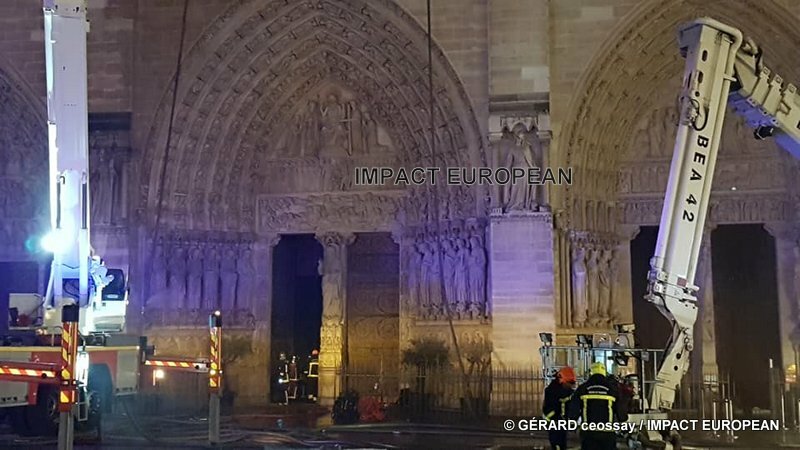 According to last information, the firemen indicate that the structure of the cathedral “is saved and preserved in its globality”. An investigation is open for “involuntary destruction by fire”. More than five hours, after the beginning of the fire, the flames remain still difficult to control. 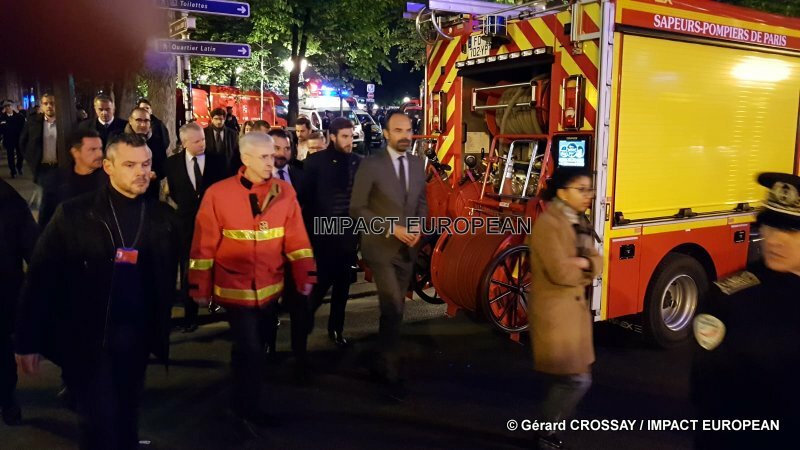 Among hundreds of homages addressed to the soldiers of fire, who continue to fight against the flames., one counts those of the mayor of Paris, Anne Hidalgo, who on its side greeted “the incredible work” of the mobilized firemen, while the sénatrice of the Bouches–du–Rhône Samia Ghali their expressed “his total support”. “I think in this moment of our firemen, with the superhuman effort which they make to try to save what can the being of community property. They deserve our homage and our admiration”, the sénatrice ecologist Esther Benbassa wrote. 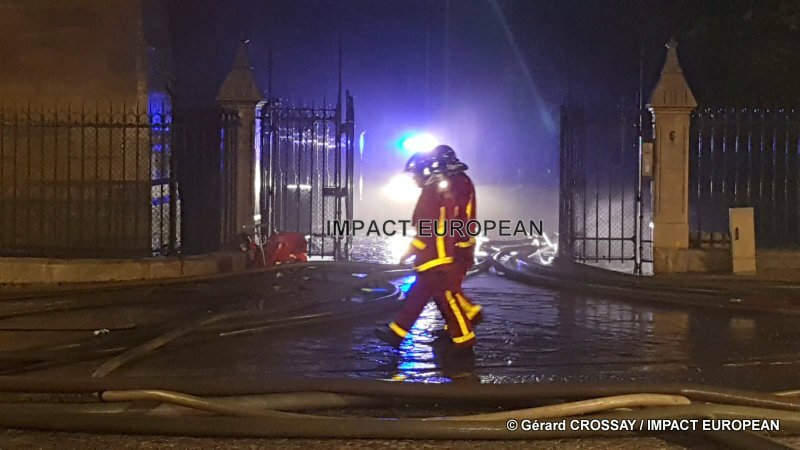 The firemen of Paris could also count on the support of their colleagues everywhere in France. 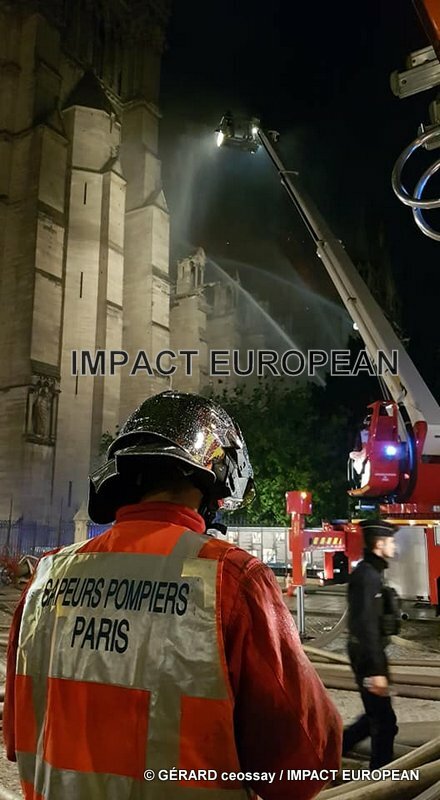 “Courage with our colleagues of the brigade of the firemen of Paris who fight against the fire which devastates Notre–Dame”, in particular wrote on Twitter Sdis de Haute–Savoie. 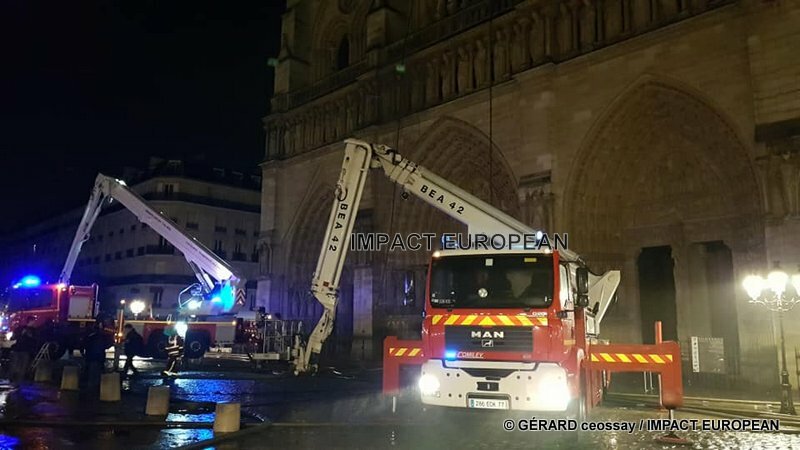 “A total support with the forces of help engaged on Notre–Dame de Paris. That the firemen of Paris are vigilant vis–a–vis this appalling fire. 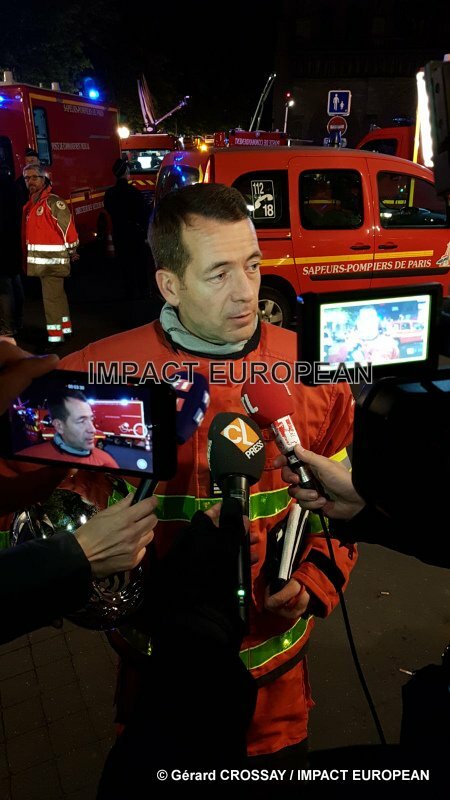 We are under the shock but the firemen are determined and than ever mobilized more”, ensured Grégory Allione, the president of the National federation of the firemen of France. 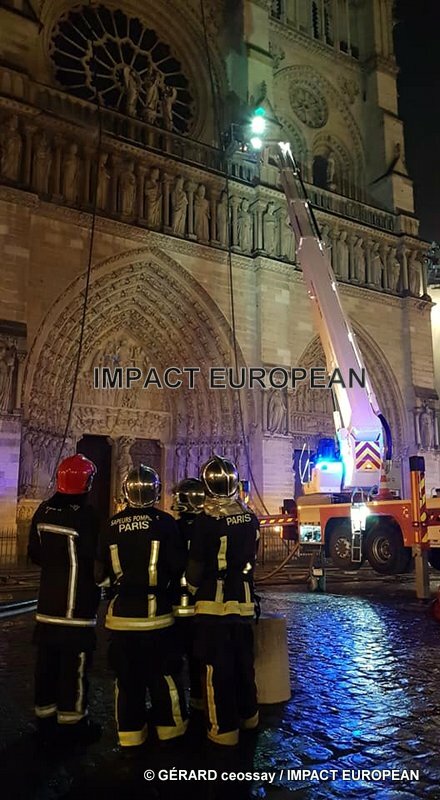 “One can consider that the structure of Notre–Dame is saved and preserved in its globality”, around 23:00 the general Jean–Claude Gallet declared, ordering Brigade of the firemen of Paris, whereas the rescue even of the cathedral, monument more visited in Europe, was not acquired a few hours before. 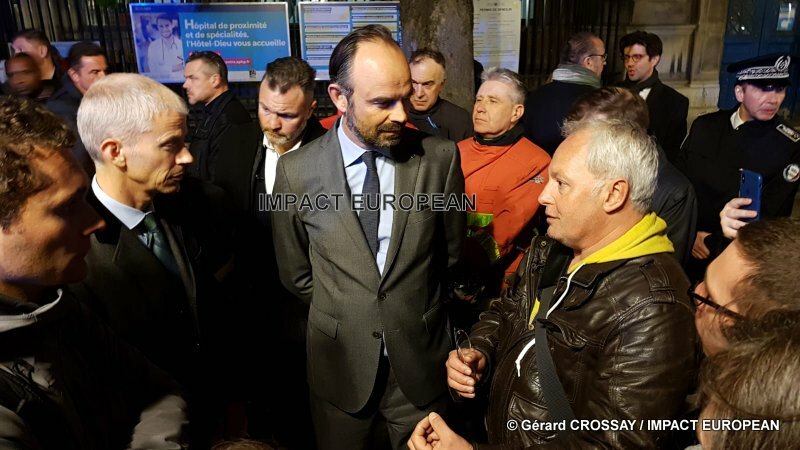 “Fire dropped in intensity”, at his sides the Secretary of State inside Laurent Nuñez increased, while inviting to remain “extremely careful”. 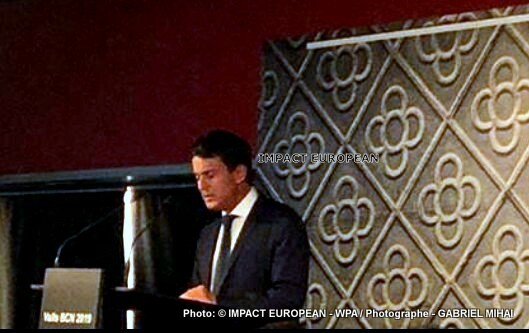 President Emmanuel Macron, who cancelled his short speech television post–large debate and went to the site around 23:30 with his wife Brigitte, said in a tweet, to share the “emotion of a whole nation”, the Prime Minister Édouard Philippe expressing an unhappiness which goes “beyond the words”. 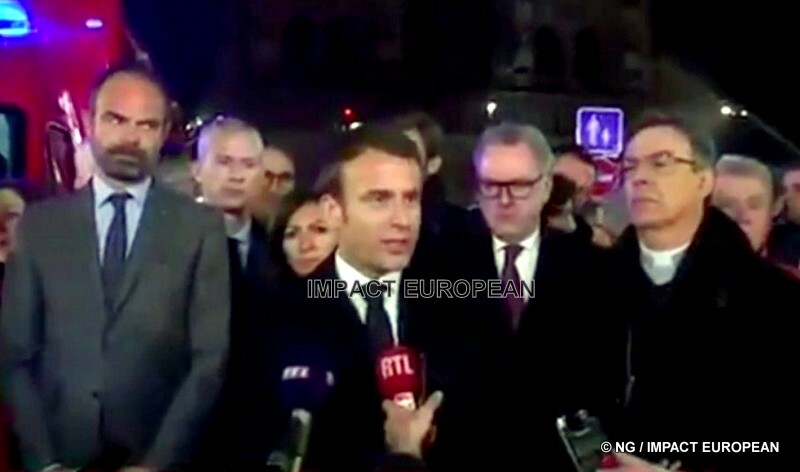 “The worst was avoided, even if the battle is yet completely gained”, president Macron, obviously moved stated on the spot. 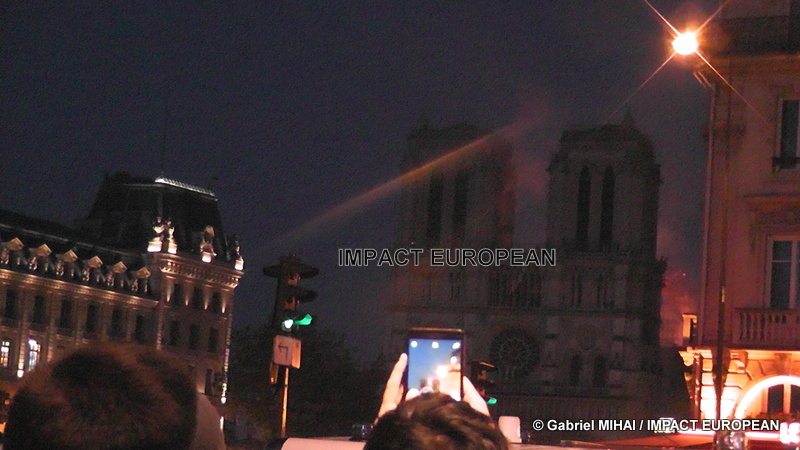 “This cathedral, we will rebuild it”, he declared with the press. 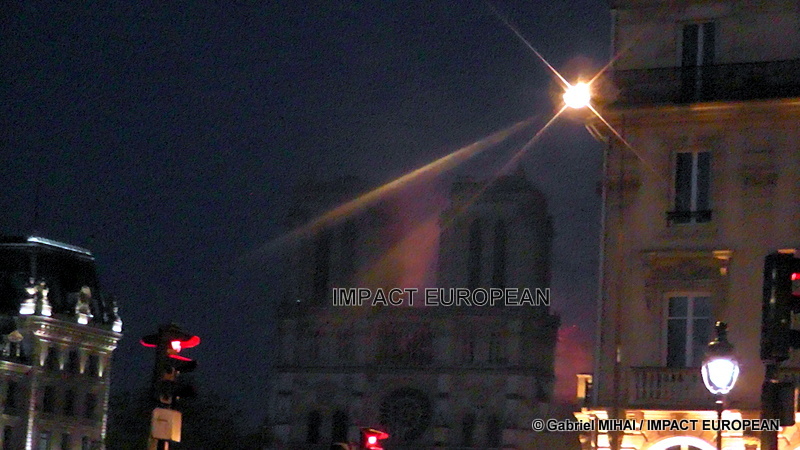 Notre–Dame de Paris “it is our history, our literature, our imaginary, the place where we lived all our great moments”, he launched. 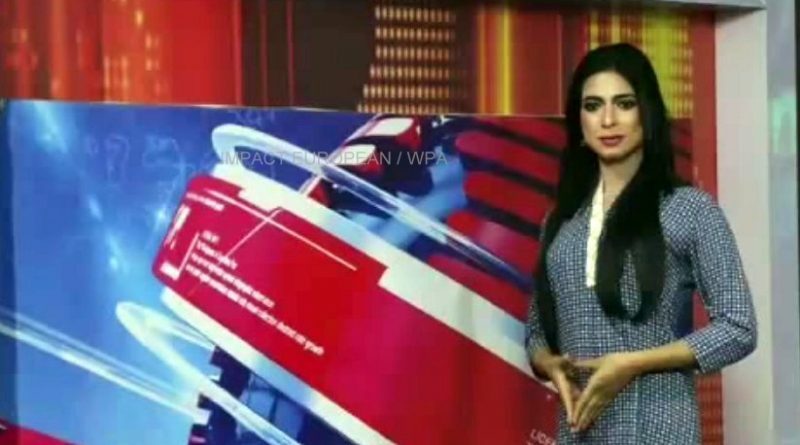 Beyond the borders, several foreign persons in charge also informed of their emotion, Donald Trump evoking of the “terrible images to see”, Angela Merkel “a symbol of France and our European culture” and the mayor of London Sadiq Khan of the “tearing scenes”. 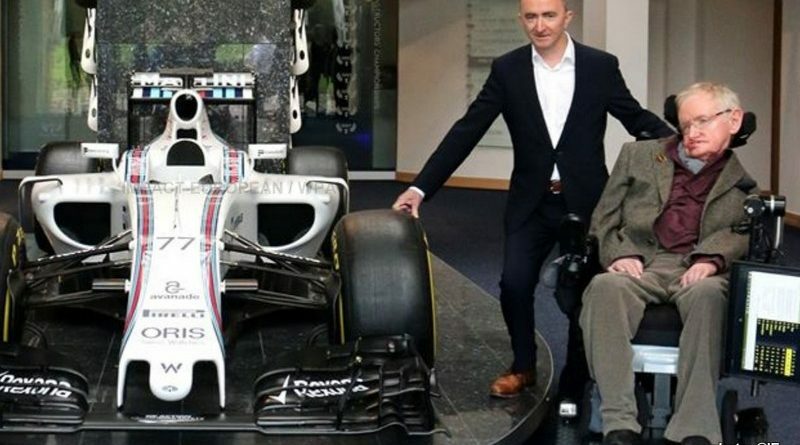 The Vatican has, on its side, expressed “incredulity” and “unhappiness”. 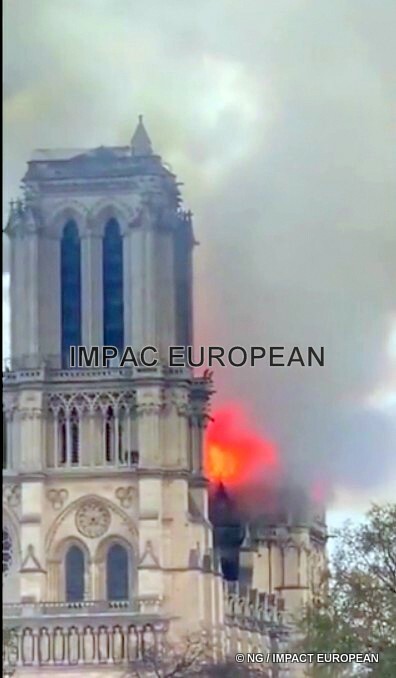 “Symbol of France”, terrible catastrophe a “to see”, “tearing scenes”: from Berlin, London, Washington and other capitals, of the Vatican or Jerusalem, Brazil, of Greece or Turkey, the reactions multiplied Monday evening. 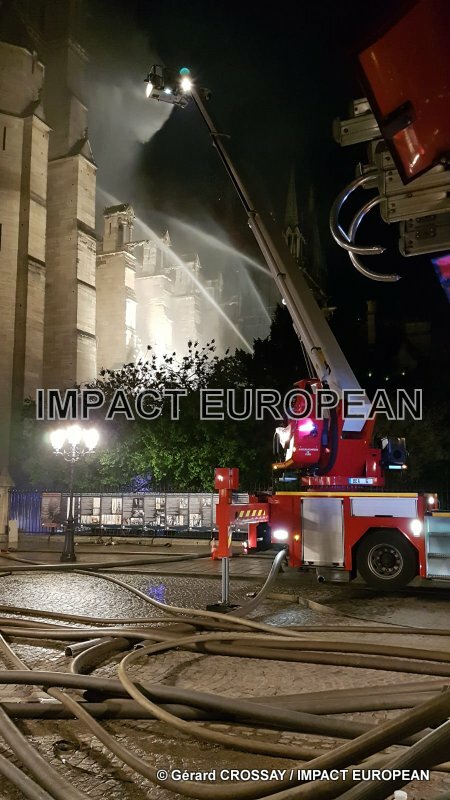 United Nations for the culture, UNESCO, is held at the “sides of France to save and to rehabilitate this priceless heritage” that is the cathedral Notre–Dame, tweeté its chief executive officer Audrey Azoulay. 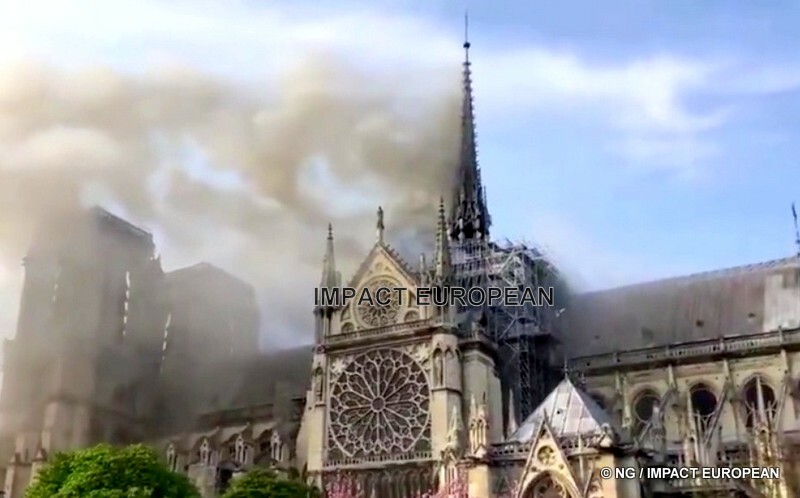 The investment company of the family Pinault, Artemis, will resolve 100 million euros to take part in the reconstruction of Notre–Dame de Paris, devastated Monday evening by the flames, announced in an official statement in AFP its president François–Henri Pinault. “This tragedy strikes all the French and well with beyond all those which are attached to the spiritual values. Vis–a–vis such a drama, each one wishes as fast as possible to give again life with this jewel of our heritage”, the president of the holding family and the group of Kering luxury writes.